Provide comfort for the family of Sheila Cobb with a meaningful gesture of sympathy. Chris and Tracey Hassler & family and Tia Chasity Tom have sent flowers to the family of Sheila Cobb. In memory of Sheila Cobb - may she rest in eternal peace. To our dear neighbor, You and Lee welcomed Jill and I to the neighbor 13 years ago. Thank you making us feel welcomed, keeping an eye on our house when we would take vacations and watching Brady run around the yard. Your laughter and quick wit are priceless. We will keep an eye on Lee for you. Sincerely your loving neighbors from across the street. 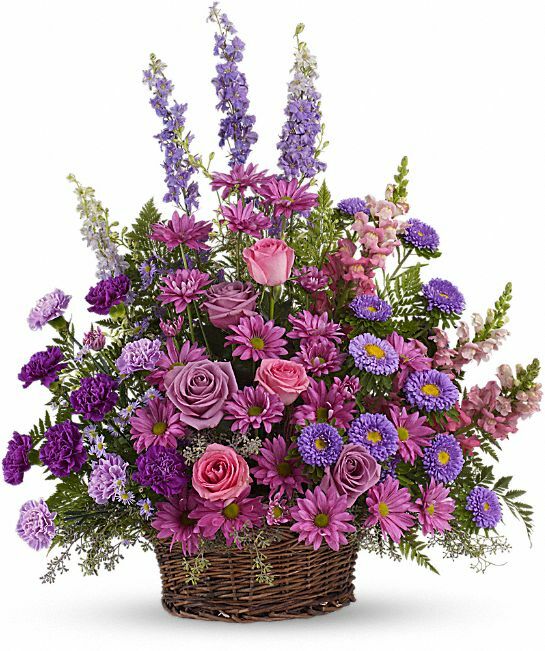 Heartfelt Sympathies Store purchased the Gracious Lavender Basket for the family of Sheila Cobb.